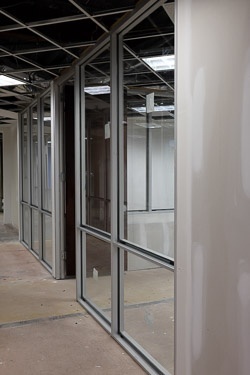 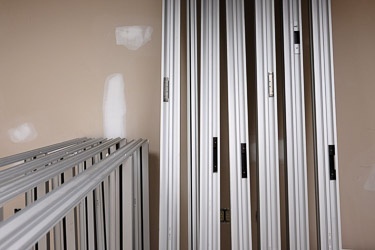 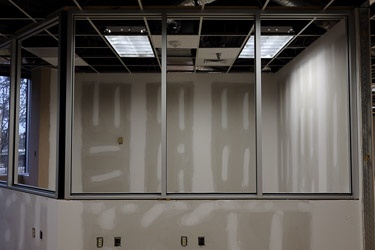 Last week, the frames for our storefront glass interior walls was installed. 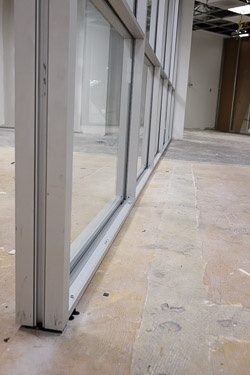 This required anchoring the frames into the concrete floor, which mostly had to happen outside of business hours. 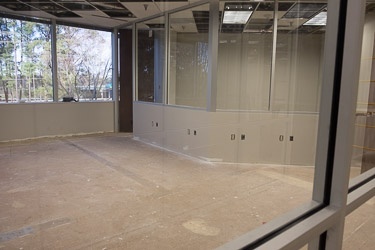 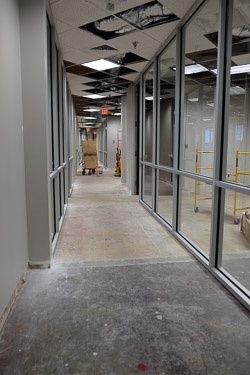 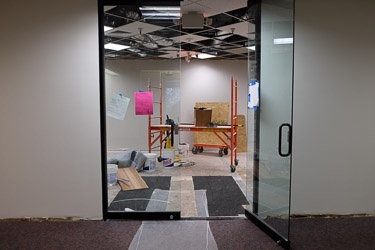 This week, with the walls fully installed, the storefront glass was installed, as were the doors. 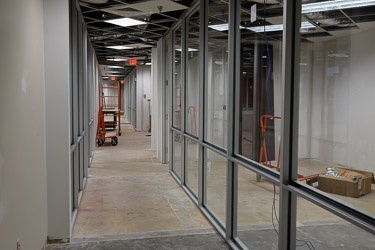 The walls are mostly painted at this point, and that part will be finished up in the next few days. 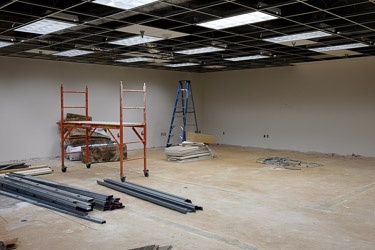 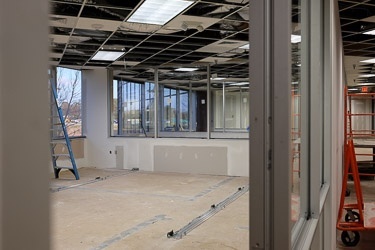 That leaves just a few things: flooring, wiring, furniture/fixtures, and finishing up the ceiling tiles.